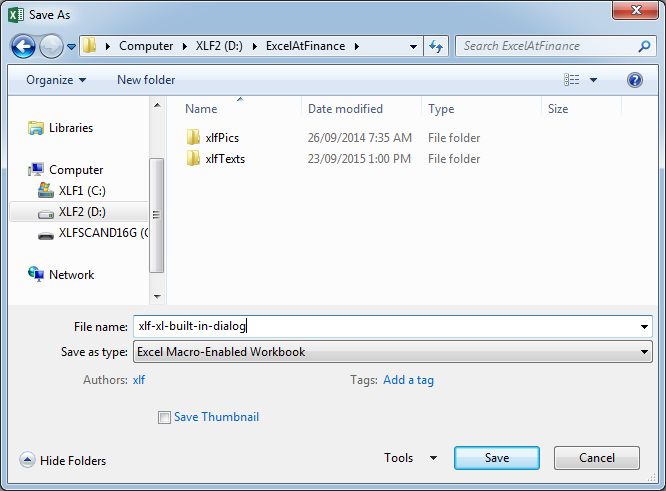 Make code writing easier by using existing Excel dialog boxes. Excel 2013 has 258 dialog boxes built in, and you can use any of them in your code development, depending on the context of use. Most of the BuiltIn dialogs are based on Excel 2003 menu items, such as File > Print, or File > Save As. A complete list is provided in the figure 4 Excel Web App #1 Dialogs worksheet below. 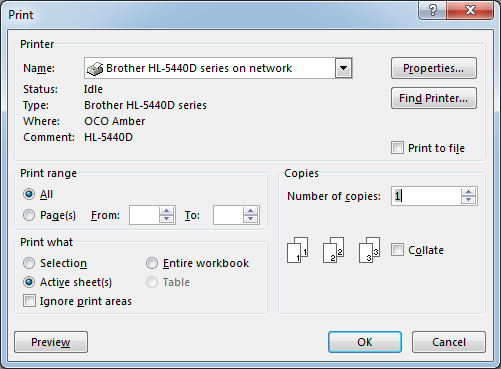 This will show the Print dialog box - figure 1. Code 2, lines 1, 3, and 5 all show the Save As dialog box - figure 2. The Dialogs collection is returned by the Application object Dialogs property. 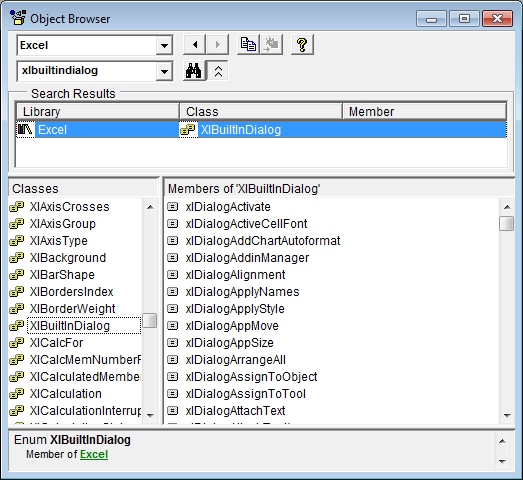 Collection members are indexed by the XlBuiltInDialog constant and are identified by prefix xlDialog & dialog box name (caption) - lines 3 or index Value - line 5. You can use all the functions in the box. When the user presses OK or cancel, they are returned to the program. Using BuiltIn dialog boxes can save a significant amount of programming effort. Code 3: Sub procedure xlDialogList. Scroll down to view the 538 lines of code. A list of Built-In Dialog Box Arguments is available at the Office Dev Center site: Built-In Dialog Box Argument Lists. 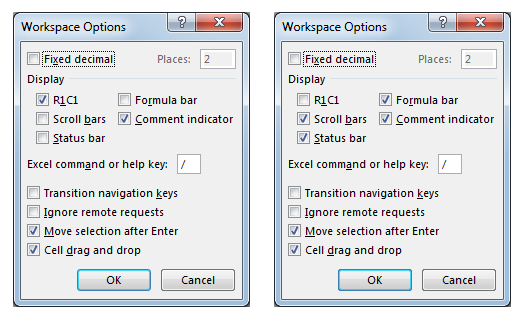 The xlDialogWorkspace dialog box demonstrated here, has 16 listed arguments. Details are shown in the Code 2 window. In Line 7, arguments are passed by Name, and in Line 10 arguments are passed by Position. A comma marks each position. and the line 7 code result is in figure 5 (left pane), and the line 10 code result in figure 5 (right pane).